For some of us, pasta is a staple in the kitchen. 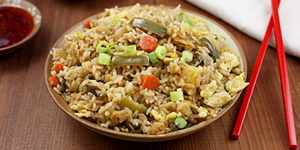 Served in many different ways, it's easy to make and works as a side dish or a main meal. 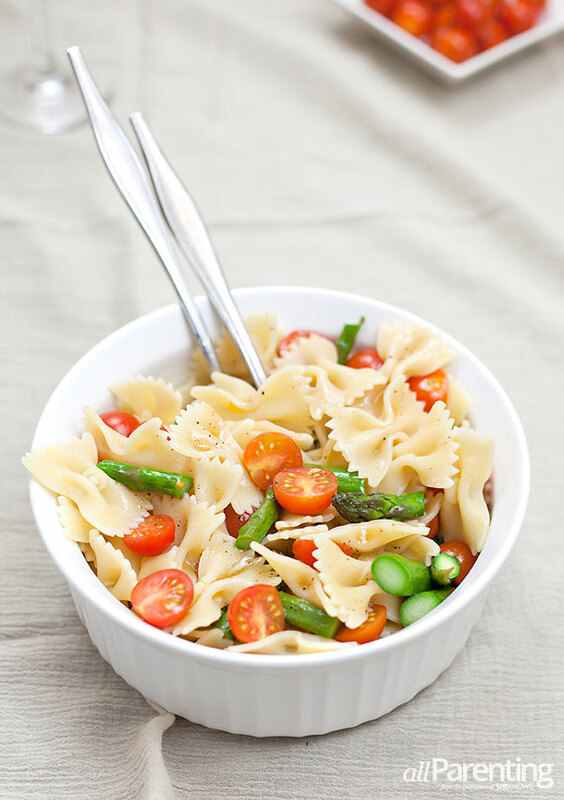 In this dish, we've taken the bow-tie variety and combined it with cherry tomatoes and roasted asparagus to create a delicious cold pasta salad. Tossed with homemade Italian dressing, it's great served at lunch or dinner. As we start approaching picnic weather, it's time to think about easy meals that can be enjoyed both inside and outside the house. For us, that includes this cold pasta salad with cherry tomatoes and roasted asparagus. Topped off with homemade Italian dressing, it's easy to make and colorful to eat. If you want to get a little fancy with your pasta salad, try slow roasting the tomatoes before adding them to the mix. It does take a few hours to make them, but the results are so worth the time. Add all ingredients to a salad shaker, Mason jar or some other container with a tight fitting lid. Put the lid on and shake until the ingredients are combined. Fill a large pot with water and 1 teaspoon of salt and bring to a boil over high heat. Add the pasta and cook uncovered until the pasta is cooked, around 9 to 11 minutes. Using a colander, drain the pasta and run cold water over it to cool. While the pasta is cooking, place the asparagus on a baking sheet covered with foil. Drizzle the olive oil over the asparagus and sprinkle with sea salt. Bake in the oven for 8 to 10 minutes, or until the asparagus feels soft when poked with a fork. Rotate the asparagus in the pan after cooking 4 or 5 minutes. Once done, remove from the oven and set aside to cool while the pasta continues to cook. Add the pasta to a medium-sized bowl along with the cherry tomatoes. Cut the roasted asparagus into 1-inch pieces and add to the bowl. Pour the Italian dressing over the pasta salad and stir to combine. Cover and refrigerate for at least 2 hours before serving. Make it vegetarian by adding in some freshly grated Parmesan cheese. Small pieces of rotisserie chicken are also good if you're serving a meat-eating crowd.